Diwali is the Indian festival of lights. 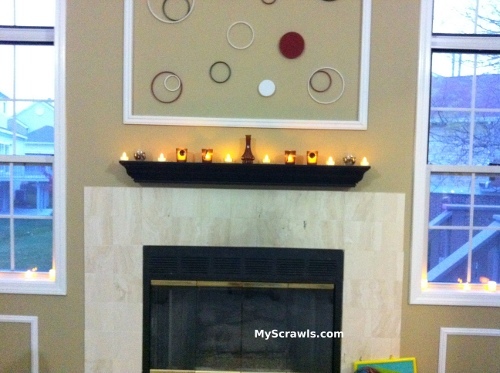 Indians light diyas (lamps with oil/ghee) and decorate their house. Some people, specially south Indians celebrate the festival as the day when Lord Krishna and his wife killed the demon Narakasura and saved this world. Others mark it as the return of lord Rama from 14 years of vanavas (exile). On the whole this festival of lights shows the victory of good over evil. Here are a few snaps of our diwali (eve) celebration at our home in Chicago. Our darling son helps me in arranging the diyas. We lit diyas in our home. I bought cute little LED tea lights that flickers just like the candles! 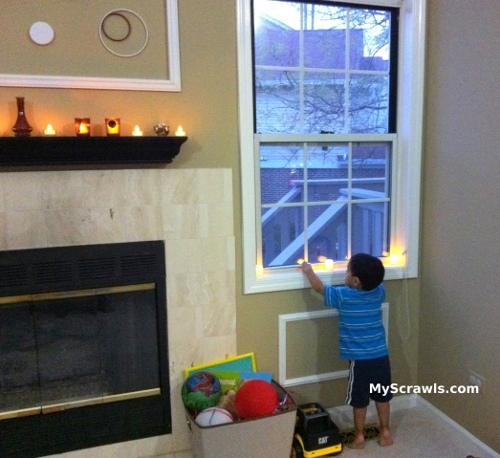 Main reason to use LEDs over oil lamps is obvious – our busy active toddler LO was over joyed to see the lamps. 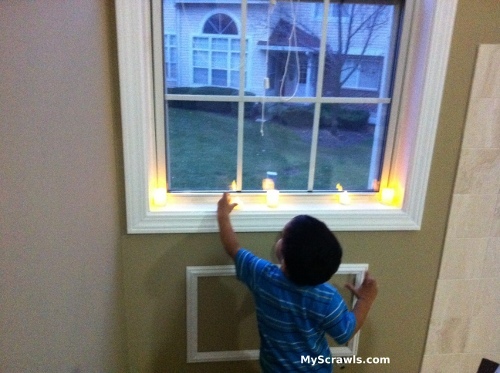 In fact he helped me decorate our living room with diyas! Note: I highly recommend this LED lights for families with busy little kids! Thank you Wish you the same!